Festive Fractivities: An Annual Tradition! After semester exams, we ALL need a break. The novel topic of fractals is a welcome change of pace. I usually conduct my fractal mini-study for two class periods right before the holiday. 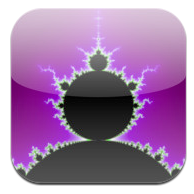 This year we also added a free app to the mix called Deep Fractal Viewer. Pretty fascinating! Next, I show students this record-breaking set of pictures and really cool time-lapse video, and distribute the very same Sierpinski template featured in the video for students to create their own 2-D fractals. 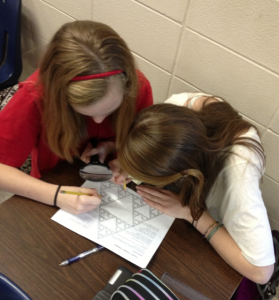 I show this video so they can see how the Sierpinski triangle evolves. Students get strangely absorbed in the process of generating the triangles, and we discuss how the number of “right-side up” triangles represents the powers of three, and that, the more work you do when generating a fractal, the more work you create for yourself. This fact does not stop students at all – one student actually pulled a magnifying glass out of his backpack to help him keep on making triangles – not sure if I was more surprised that a student actually *had* a magnifying glass in his bag, or that he was resourceful enough to use it for this task! Once students understand how self-similarity and exponential growth impact the creation of a fractal, day 2 of our mini-study involves this fantastic 3-D pop-out card. It looks impressive, but is quite simple to create! I think understanding and creating a flat fractal first is crucial. Here are some prize cut-out cards from today! 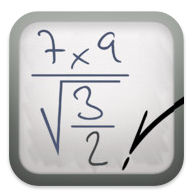 An aside – thanks to Mr. Bill Hoy for tweeting the MyScript Calculator app this morning! When students entered class today, I posted a QR code and the message “Appy Holidays!” for them to retrieve this “gift” – a really nifty calculator app that reads your handwriting! 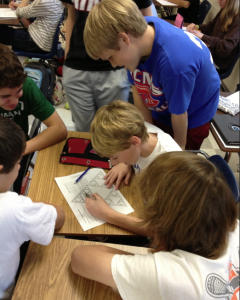 Students were not only amazed, but inspired to create some tough problems to try to “stump” it. They also got into the fun of printing their names rather than numbers, and watching the calculator try to recognize the letters, convert them to numbers, and establish what each student was “worth”. 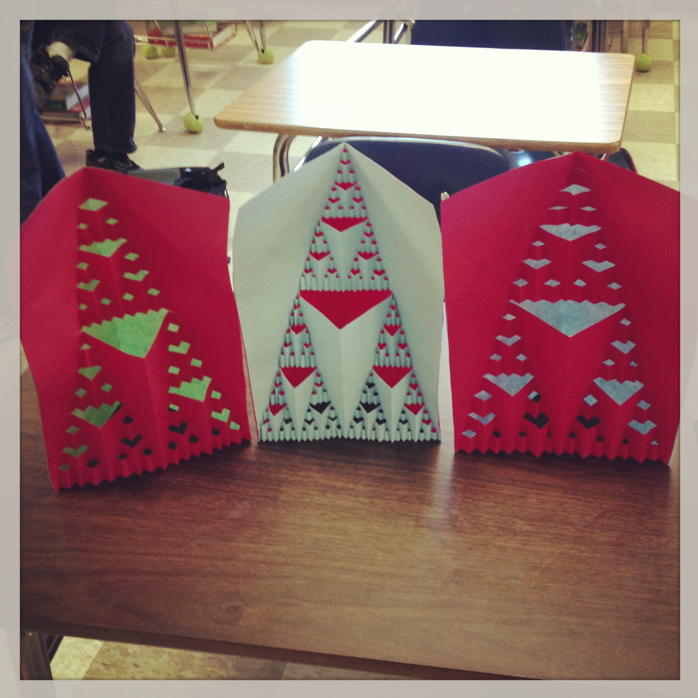 This entry was posted in Algebra 1, Pre-Algebra and tagged app, calculator, exponential, Fractal, Sierpinski, similar, triangle. Bookmark the permalink.